Type G 4/11/140 staples, only suitable for heavy duty staplers 46611 and hammer tackers. 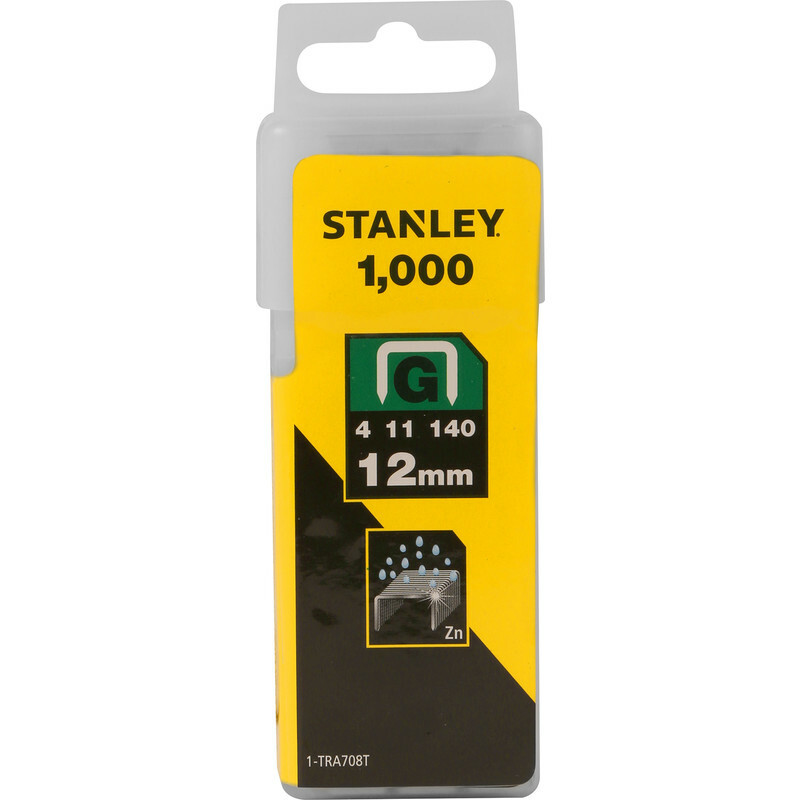 Stanley Heavy Duty Staples 12mm (1000 Pack) is rated 5.0 out of 5 by 1. Rated 5 out of 5 by jasevlog from Amazing - changed my life Wow! I bought these staples and they have changed my life - so many amazing and lucky things have happened to me since the purchase, it must be down to them. Thank you Stanley!